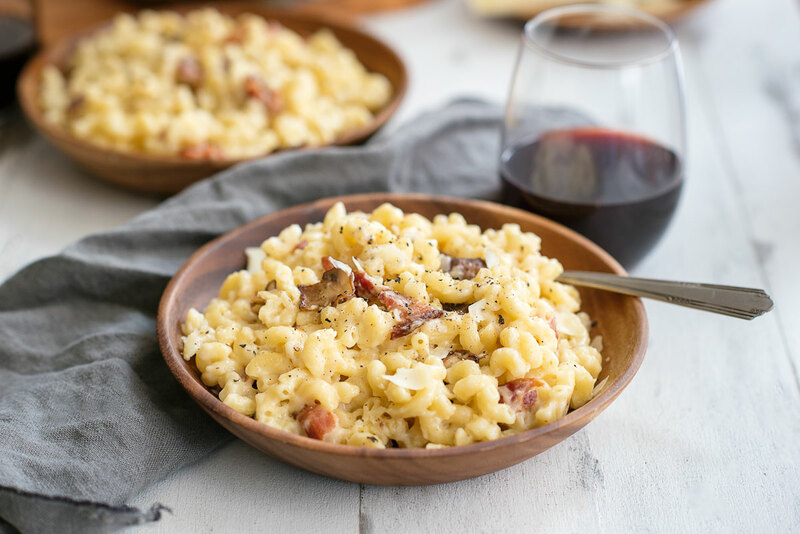 A creamy stovetop mac & cheese recipe that’s all grown up thanks to fancy cheese, bacon and mushrooms. 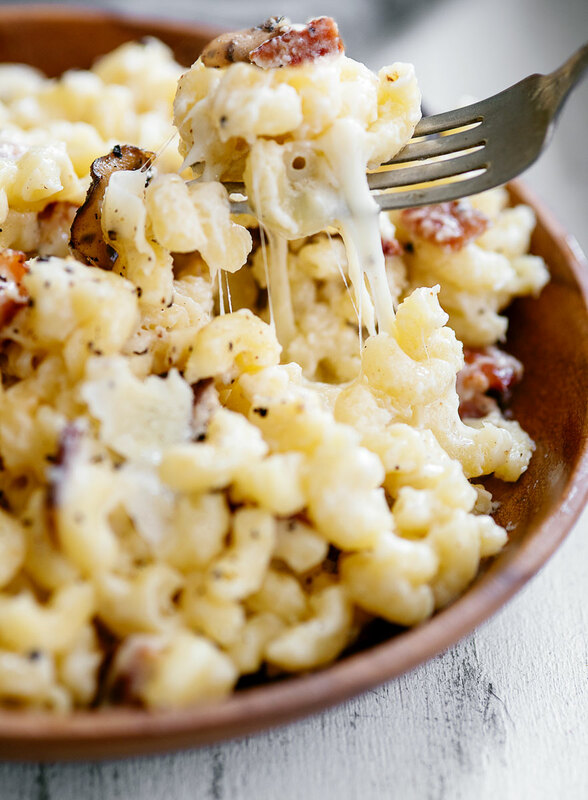 It’s honestly the best homemade macaroni and cheese ever! 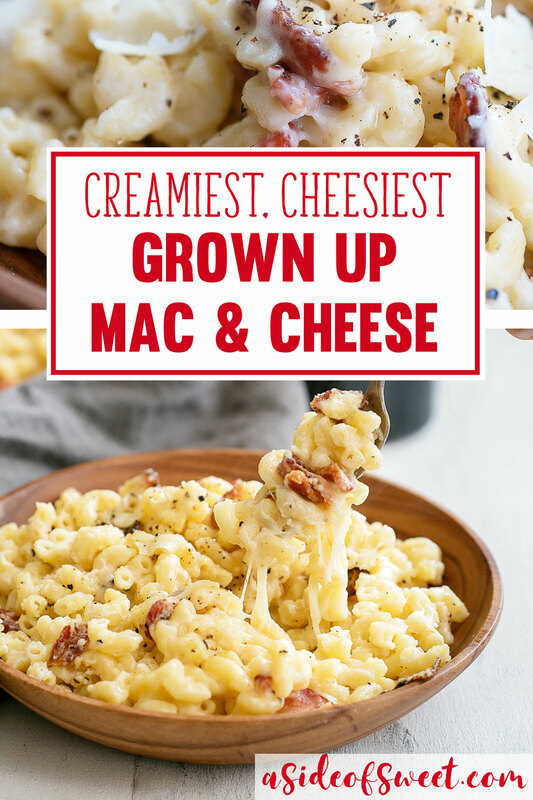 If I had to name my number one guilty pleasure, it would be macaroni & cheese. There’s just something about pasta and cheese that makes this Wisconsin girl’s heart skip a beat. That being said, the version my family made growing up with Kraft singles just won’t cut it anymore. If I’m going to indulge, I still want the whole foods and high quality ingredients we look for in our day-to-day diet. 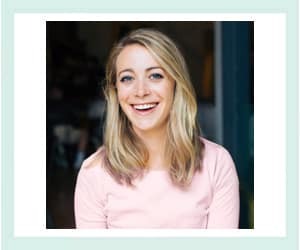 Read on for the recipe and learn about my commitment to reducing my screen time! This recipe isn’t your traditional mac & cheese made with slices of cheese-flavored plastic and artificial flavors. This is the real deal. 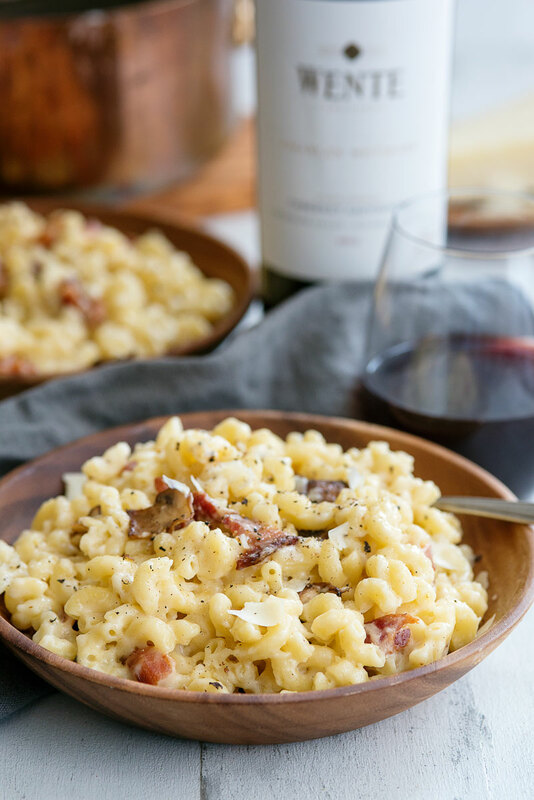 It’s packed with very grown up flavors thanks to a blend of cheeses, high quality pasta and bacon. I also added mushrooms, which are one of my favorite foods. I just love the earthy goodness they add to the recipe. Of course if you’re more of a purist, the mushrooms and bacon can easily be omitted from the recipe. 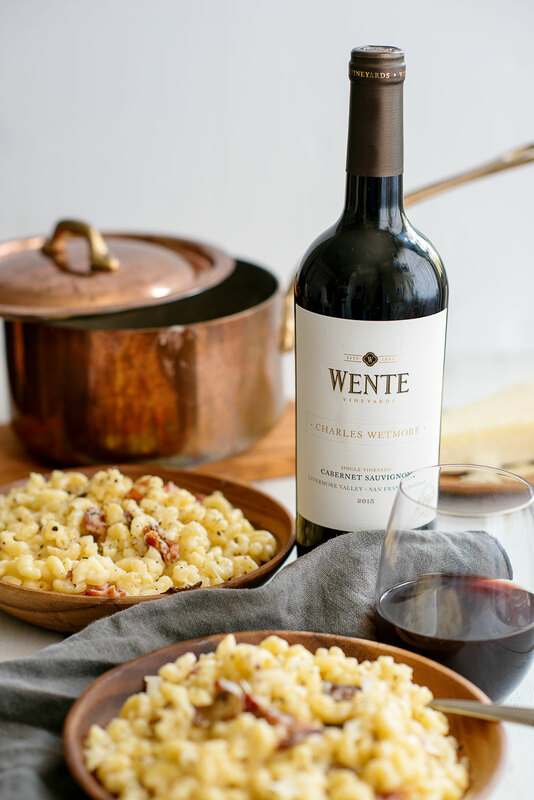 I recommend you enjoy this very grown up macaroni & cheese with a glass of Charles Wetmore Cabernet Sauvignon from Wente Vineyards in Livermore, California. I picked up a couple of bottles after tasting it at Wente because I fell in love with this bold and versatile wine that is also a great value. I enjoy this Cabernet just as much by itself after a long day of work, as well as when we grill steaks. I love the notes of berries and plum with a hint of oak and vanilla. (Side Note: Thanks to Wente for the wine aromatics class during our last visit!). The big tannins add a lot of interest and texture to the wine. Charles Wetmore Cabernet Sauvignon pairs well with beef, pork and cheese. 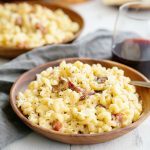 It inspired me to make a grown up version of my ultimate comfort food – macaroni & cheese with bacon. They are the perfect pair. Charles Wetmore founded one of the first wineries in the Livermore Valley back in 1882. This was the same time when the Wente family were getting their start in the wine business. Wetmore was California’s first agricultural commissioner and known for planting vine cuttings from many of Bordeaux’s top Châteaux in the temperate Livermore Valley in 1912. Descendants of these Bordeaux transplants still thrive at Wente today. The Charles Wetmore Cabernet Sauvignon is their tribute to this California wine legend. The wine is fermented in stainless steel tanks and aged in French Oak barrels. Wente produced 1,016 barrels of their 2015 vintage. Want to try this amazing Cabernet Sauvignon for yourself? 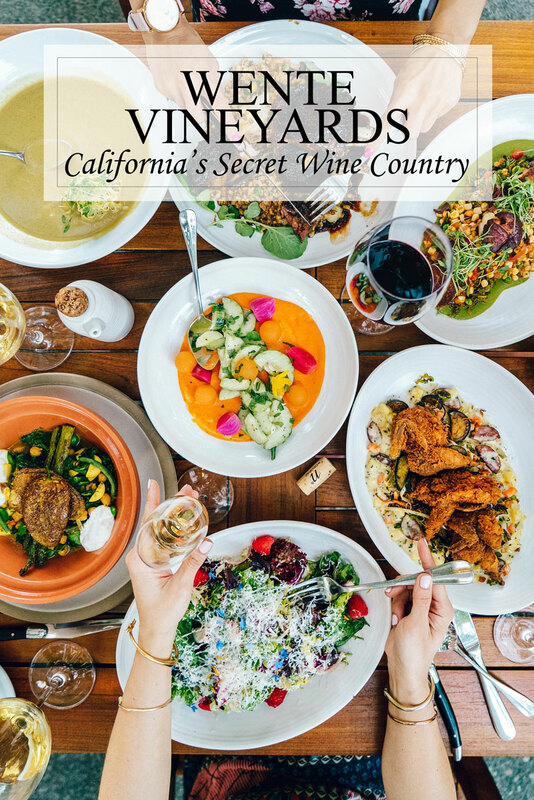 Find it using Wente’s wine finder or buy it online. 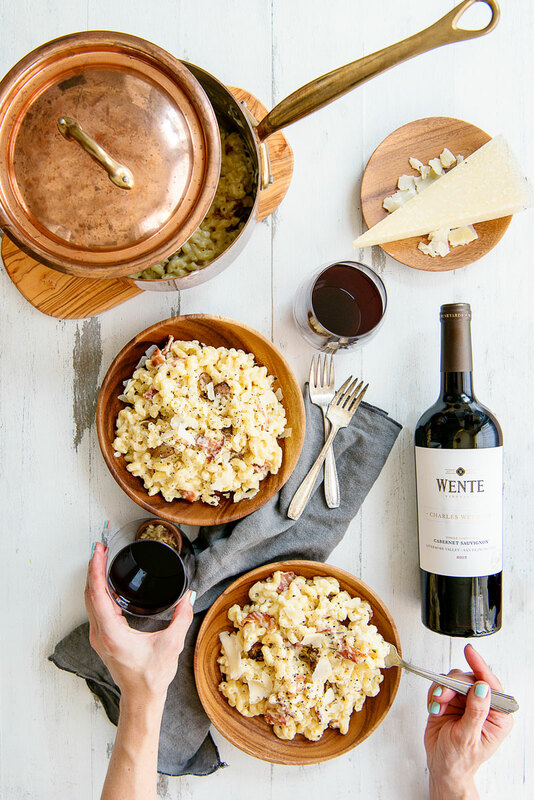 This summer, Wente Vineyards announced their #MakeTime Initiative. The goal is to encourage us to make time for the things – and the people – that matter most. The idea is less screen time and more face time. I’ve tried to be mindful of my screen time since I first shared this in July, but I have a long way to go! We’re all guilty of spending too much time casually glancing at our phones. When I think about the number of times today that I’ve mindlessly opened up Instagram and started scrolling…it’s a hard habit to break. This recipe is a reminder that Pat and I need to put our phones aside when we are having an “at home” date night. All that cheesy goodness is truly a guilty pleasure, and it would be a shame to focus on anything but enjoying it with each other. Are you guilty of too much screen time? Who do you need to make more time for? 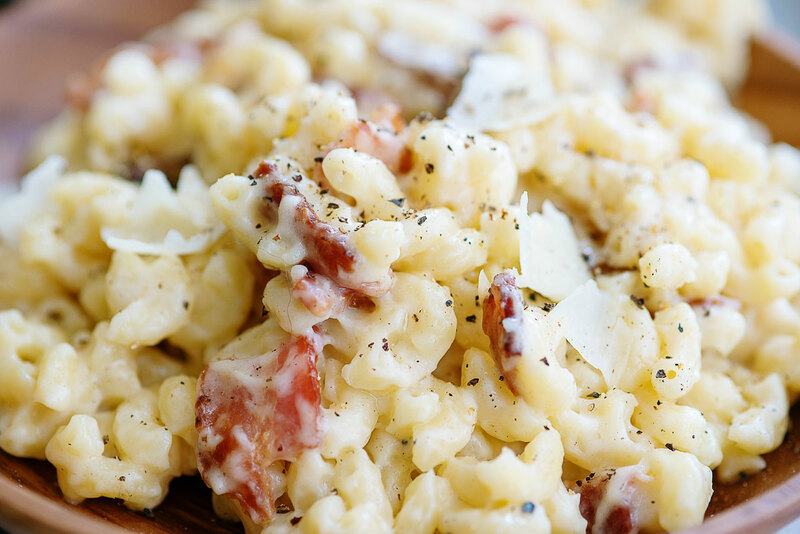 It’s creamy and cheesy – the most important qualities for macaroni & cheese! This recipe is all about real food – it uses high quality ingredients with no preservatives or fake cheeses. Mushrooms add an earthy richness to the recipe. It tastes great paired with a glass of Cabernet Sauvignon. 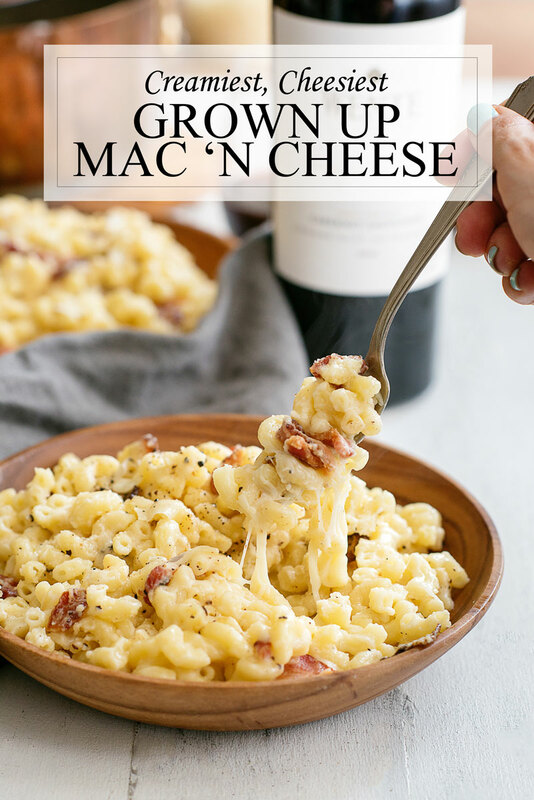 Obviously adding bacon to this mac & cheese makes everything better! It makes great leftovers to take to work the next day. Cook bacon according to package directions until almost crispy and set on a plate covered with paper towel to drain. Drain off bacon fat and sauté mushrooms in the same pan until dark brown and softened. Set aside. Heat butter in a medium saucepan on medium heat. Add flour and stir constantly until mixture starts to thicken. Stir pasta into cheese mixture. Stir in mushrooms and bacon. Topped with shaved Parmesan and cracked pepper. Serve immediately and enjoy with a nice glass of Cabernet Sauvignon. Will keep in an airtight container in the fridge for 2-3 days. For better texture, reheat on the stove in a small saucepan. *The cheeses I used were fairly salty, so I didn’t have to add any additional salt to this recipe. 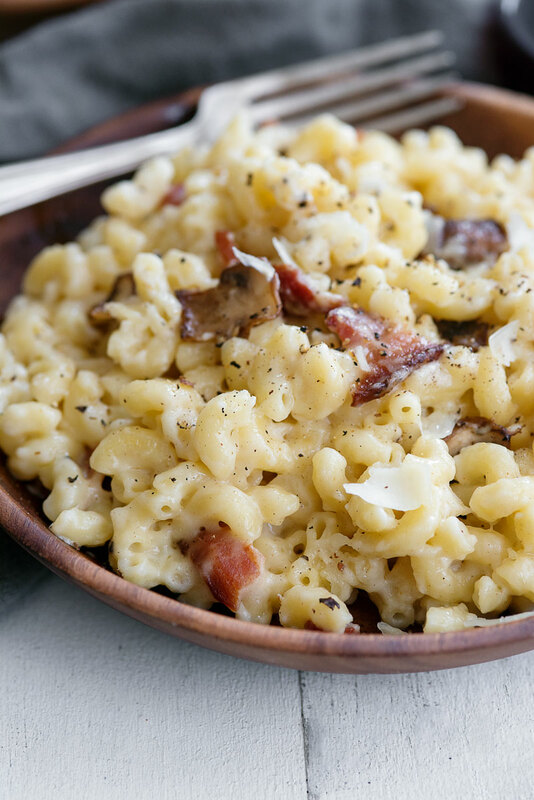 Craving this creamy stovetop mac & cheese? Pin this recipe for later! You’re speaking my language with wine and cheese for dinner. Love a good cabernet and always looking for a new one to try.